Anthrax guitarist Scott Ian told an unusual story about his friend Lemmy Kilmister of Motörhead. 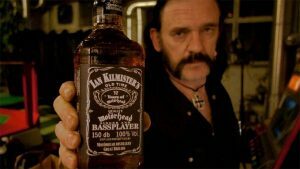 Lemmy died in December 2015 after being diagnosed with cancer at age 70. It was then that Ian revealed the story about the time a cigarette prevented Lemmy from having amputated toes. “He literally almost lost a few toes because he still did not know about diabetes. They had gone black because of the lack of circulation, “Ian said. Lemmy changed his eating habits and did not have to operate. “A cigarette literally stopped him from having amputated toes,” Scott added. “That’s when he stopped taking Jack and Coke. The doctor said, ‘Start taking diet coke you will not have to amputate your toes,’ he laughed.